Albert-Laszlo Barabasi is a network scientist. In this book, he uses data science to explain successful people. Measuring success depends on perspective. You may measure success by money. But your five-year-old measures success by your love. Are you a success if you die as a millionaire, alone? No. You don’t measure your own success. We do. Performance determines success. But that performance depends on the audience. We do not recognize some of the best performers as a success. For example, we have all heard of the Red Baron. That Ace was so good that he painted his aircraft a bold red—daring anyone to shoot him down. A pilot with at least five dogfight victories is an Ace. And very few pilots were an Ace. The Red Baron had 80 dogfight victories. Nearly one hundred years after his death, he has hundreds of autobiographies, fights with Snoopy, and has a frozen pizza named after him. 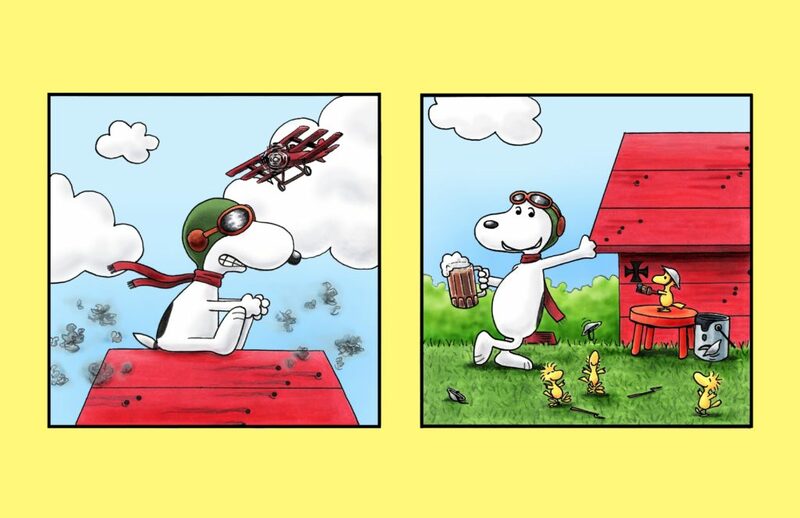 We believe that the Red Baron was the best fighter pilot of all time. But that’s wrong. He wasn’t even the best fighter pilot of World War I.
Rene Fonck, a Frenchman, had 142 dogfight victories during the First World War. That is an amazing number—especially when 80 victories made the Red Baron a household name. Fonck was the best dogfighter. But we have not heard of him. We think of the Red Baron as a success while Rene Fonck remains an unknown. It is our perception versus reality. Success is about us. Why is our perception wrong? First, the Red Baron was outstanding. He performed to the outer limits. But what separated the two was that the Red Baron was better at using his network to make himself known. Once someone achieves success, it continues to snowball. Our perception is that the successful continue to be successful. These are laws. Not just principles. 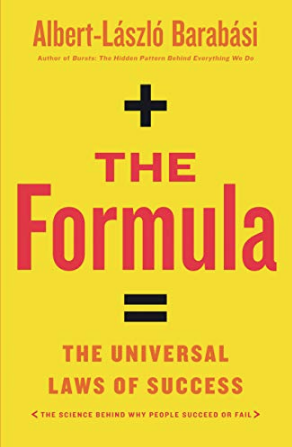 Barabasi explains that five “laws” exist for success. He uses the term “law” because his research revealed that these are not just characteristics of success. They are unchanging scientific laws just as constant as gravity. First Law: Performance Drives Success. But when performance is immeasurable, networks drive success. Tennis is all performance. Your network will not help you win a match. On the other end of the spectrum is art. Artists do not achieve success by performance alone. It is about networks. For example, a Campbell soup can is worth less than a dollar at the store. 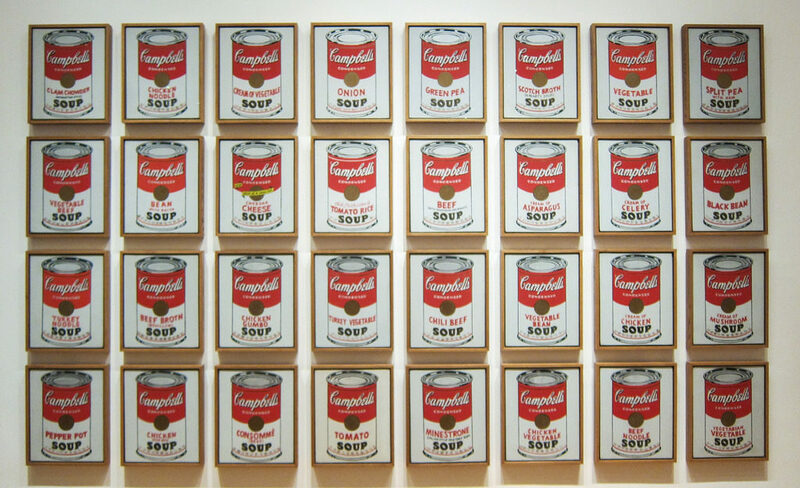 A Campbell soup can painted by Andy Warhol sold for more than $11 million in 1962. And you can’t even eat what is inside. Why is Warhol’s version worth so much? Because of the network that he leveraged. The Campbell soup can paintings are just a work of copyright infringement. Network in your niche. Barabasi tells the story of his first science convention. He asked his scientist hero, who he had never met before, to lunch. He said no. But that hero was available for dinner. The rest was history. Barabasi’s network exploded. He achieved success by leveraging his network. Second Law: Performance is bounded, but success is unbounded. There is little substantive difference at the top of any profession. For example, the difference between sprinters is in the hundredths of a second. The human body can only move so fast. But the rewards associated with being number one are immeasurable. The fastest person is Usain Bolt. He can run 28 miles per hour. Who is the second? Few people know. But he also runs 28 miles an hour. A study of pianists reveals unbounded success. Participants were put in three groups. They were to determine who won a recorded piano competition by: (1) listening only; (2) listening and watching; and (3) watching only. Which of the three sets picked the winner? The people listening only, right? They purely heard the music. Wrong. It was the group that watched the performances with the sound off. Those who listened to the sound only did the worst. The winners did not just master the skill of playing the piano. They looked the part. All the pianists sounded similar. Third Law: Fitness times Previous Success = Future Success. Here, Barabasi uses quality and fitness interchangably. This is one of the most frustrating laws. In order to be successful in the future, you need to be successful in the past. People want things that other people like. Teenagers participated in a study involving music. First, users began the experiment by downloading a song they liked in the opening set. When a song is downloaded, it indicated that the music was liked by the listener. The number of downloads remained private. Later, the participants could vote on the songs they liked the most. Votes are seen by all the participants. So the most downloaded songs were also voted the most popular, right? Wrong. When users saw that a song was ranked by others as being good, they were more likely to rank that song as good too. People like what other people like, even if it is not as good. This even happened to teachers and students. Teachers were told (falsely) that certain students excelled at testing when they did not. Because the teachers expected brilliance, they got it. Those students actually did score brilliantly on the next standardized testing. Barabasi next identifies that we rarely judge the first person fairly because we want to be fair to the later performers. So we artificially deflate the results of the first performer. Don’t be the first person interviewed. You do not want to be the first salesman. And you do not want to be the first figure skater on the rink. Fourth Law: While team success requires diversity and balance, a single individual will receive the credit for the group. Doug Prasher should have won a Nobel Prize. But he drives a courtesy van for a living. Prasher developed a glowing jellyfish protein used today to fight many diseases. But academia did not believe him when Prasher first presented it. And Prasher lacked the persistence to keep presenting his rejected discovery. 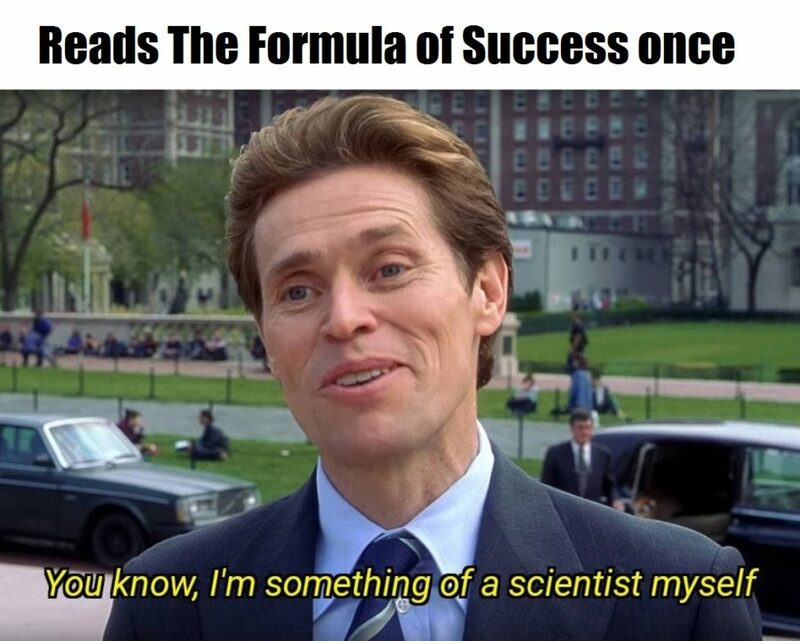 So he quit science. But he did send his jellyfish protein materials to two other scientists instead of destroying them. 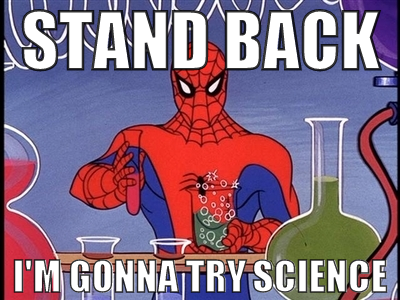 Those scientists used Prasher’s unnoticed scientific research to get the Nobel Prize. It was all Prasher’s work. Barabasi describes a perfect group. A perfect team will have (1) people who are friends of friends; (2) friends; and (3) women. Diversity is important because we see the world through different lenses. We all have different perspectives on how to attack a problem. And having different relationships creates a culture of colloboration. Group balance was shown by chicken farmer (and Purdue biologist), William Muir. He studied the productivity of egg-laying chickens on his farm. He had two sets of chickens: (1) the individual superstars; and (2) the best team. The superchickens should be a super-productive flock, right? Wrong. 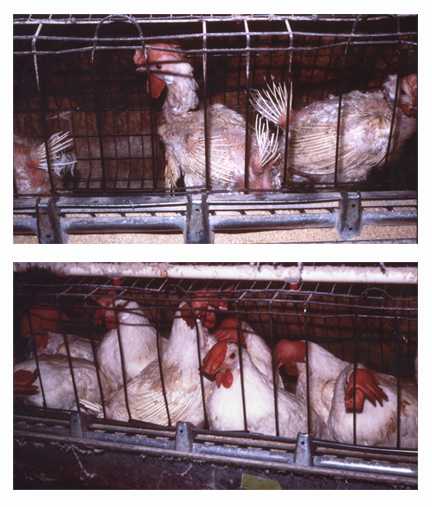 Among the nine in the superchicken group, only three were left alive. The rest were literally pecked to death. Those that were still alive are the featherless things shown below. Meanwhile the best team of chickens increased production by 160%. The henpecked superchickens had nothing. This shows that a team requires balance, not a bunch of hotshots. A team will collapse without collaboration. So it is important to create a fair playing field and keep the aggressive in check. The “superchickens” are on top. The best team is on the bottom. 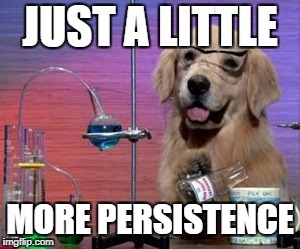 Fifth Law: Success can come at any time as long as we are persistent. Scientific circles believe that young scientists publish more breakthrough material. But Barabasi’s lab found that it is just because the older scientists are publishing fewer papers. Innovation appears to slow down because people stop trying, like Prasher above. If he could stomach being rejected a few more times, he would have won the Nobel Prize. The book ends with the story of Einstein. He was not initially liked by Americans because he appeared elitist and snobby while he was a relative unknown across the pond. But when he came to America things changed. He was greeted with throngs of onlookers in New York City. People adored him as he paraded down Fifth Avenue–stunning the media. When the media finally met Einstien they found him affable, unassuming and eager to teach in plain English. He was nothing like they expected. And now everywhere Einstein went, he was a celebrity. This meets the elements of the laws of success. But his debut in New York City was not really Einstein’s. He was simply on the boat with other famous people at the time promoting a new state of Israel. The press thought the people were there for Einstein, and that is how they reported it. But Einstein was ready. The takeaway: be ready for your Einstein moment. This book is too focused on academia. More discussion on finding my network would be helpful. In academia, the network is other academics. But many occupations do not have that clear network. Overall, I give it four out of five hammers.